Dimentions: # 01 H: 183 x W: 27 x L: 24 cm , # 02 H: 166 x W: 29 x L: 27 cm, # 03 H: 149 x W: 31,5 x L: 30,5 cm, # 04 H: 132 x W: 41 x L: 28 cm, # 05 H: 115 x W: 42,5 x L: 35 cm, # 06 H: 98 x W: 51 x L: 38 cm , # 07 H: 81 x W: 58 x L: 45 cm, # 08 H: 64 x W: 70,5 x L: 52 cm , # 09 H: 47 x W: 86,5 x L: 62 cm, # 10 H: 30 x W: 115 x L: 71 cm, # 11 H: 13 x W: 133 x L: 100 cm. We only need the visual of concrete before we can almost feel its coldness on our skin. It has industrial and harsh connotations, but this work challenges our inherent psychological and physical memory and recognition of the material. The work is namely a thermal mirror of the artists body that has been transformed into a concrete cube. An electric copper wire is heating up the concrete blocks from the inside to a temperature that equals the temperature of the artists skin. 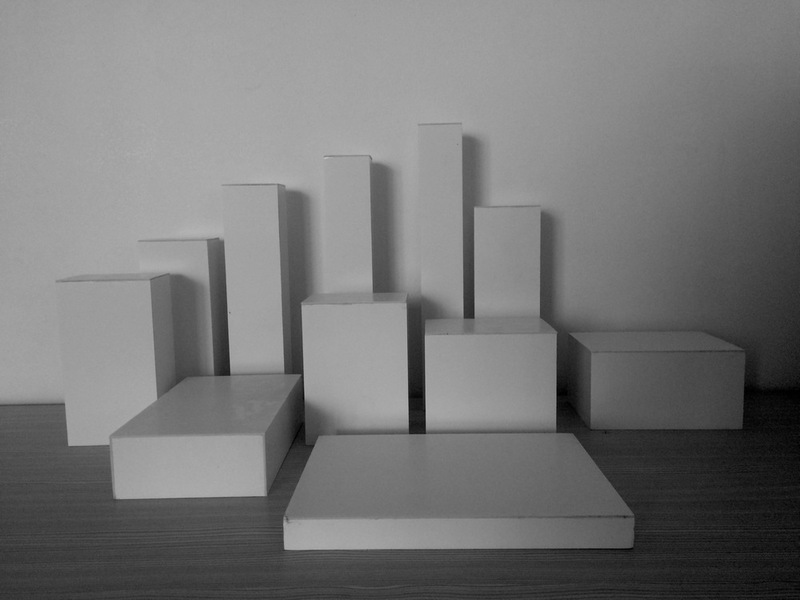 The concrete blocks are executed in different scales, all with a surface area equal to the surface area of the artists skin starting with the height and dropping by 13 cm. at each step. The work is still in progress. Currently 6 out of the 11 scales have been completed. Each of the concrete blocks are presented individually in different exhibitions.